A well-designed garden landscape adds to the aura of any home in Harrow and makes it more appealing. Having a wonderful garden landscape not only serves makes your lawn beautiful but actually increases the value of your property. Most house owners still believe that effective garden landscaping is expensive. But here we are all set to sharing with you some landscaping tips which will not burn a hole in your pocket. Yes, you read it right! Garden landscaping can fit within your budget. • Let’s begin with a plan - The basic rule of any budget activity is to have a perfectly crafted and all-inclusive plan. Start with a plan. Brainstorm on the various designs that can suit your garden in Harrow, HA2 and then consider the cost. Now, prepare your budget and see which ideas are well within your budget. The tricky part here is to understand how much it will actually cost to execute a particular landscaping design. You need to take into account every minute and meagre cost and hence a plan comes handy. Now, start hunting for the best deals for your garden landscape. • Cheap shopping tricks - So, you have to buy some equipment for your garden in the HA1 area and you are worried that shopping will shatter your budget. Don’t worry, just indulge in budget shopping, or you can even consider borrowing tools from your neighbour. Buying in bulk and buying off season are some awesome ways to avoid spending too much. Having a plan gives you an idea of what exactly you need to buy and in what quantity. We advise you to buy all your items in one go so that you can get some discounts and freebies. If you are not in a hurry, analyze the market trend and wait for the season to finish. Off season purchases are generally inexpensive as sellers are ready for a bargain. Also, don’t just search in your neighbourhood or locality; instead try to reach as widely as feasible to get the lowest rates of your desired items and tools. The internet and all those online shops are more than useful in this context. • Be resourceful - Inexpensive garden landscaping is all about reducing as much cost as possible. One important trick is to utilize every resource you have so that you don’t have to buy anything new. Yes, most of the accessories you require are already present in your property in HA2. What you need is just a careful search. Old furniture like broken window frames or chairs could be used creatively in the garden for structuring the layout. Or, an old and unused barrel can be used as a source to store rain water. Plus, various pebbles and stones that are easily available could be used for decorating purposes. Empty wooden boxes, enamelware and steel pipes are all potential pots to plant your flowers or vegetables. 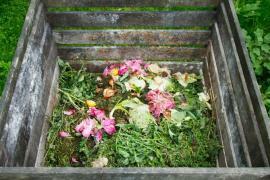 Creating your own organic compost using garden waste is a good idea too. • Consult a pro - Don’t assume that hiring a professional gardener will be expensive. 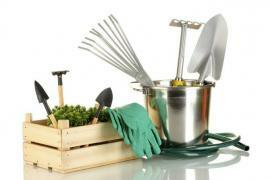 Just a simple market survey of these gardening care services in Harrow and their arte will reveal that hiring these professional is not expensive and in fact a quality gardening service can be within your budget. Consult or talk with a garden expert and get their knowledge in creating a perfect garden landscape.